In the past, there has been stigma surrounding mental health, but this is changing with more and more focus being placed on it in recent years. With events such as Mental Health Day and anti-discrimination reforms being passed, there is more awareness about what a mental health disorder may be and how it can manifest differently from person to person. We think it is time to talk about mental health and whether travel insurance covers it. It is only in recent times that anti-discrimination laws have been heavily scrutinised with particular reference to the travel insurance industry. 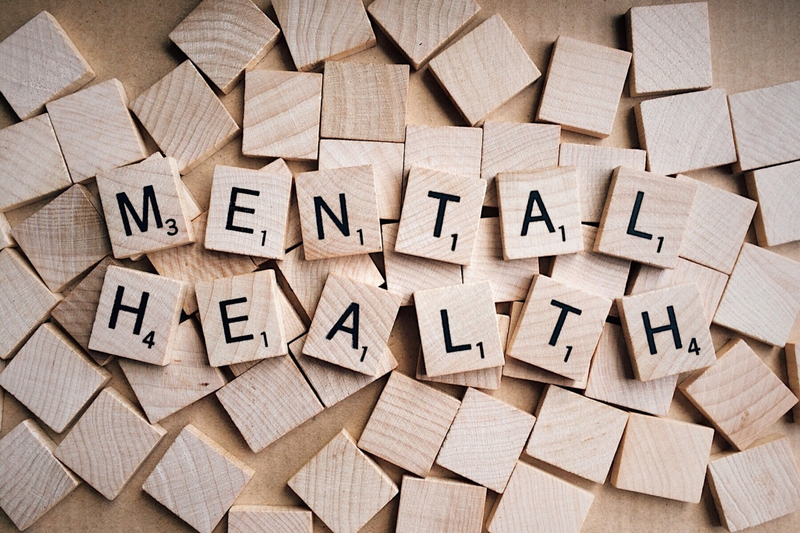 This has caused insurance companies to consider the legality of policy terms which unilaterally exclude claims arising from or relating to mental health conditions. Exclusion clauses relating to mental health conditions are not just within travel insurance policies but also life insurance, permanent & total disability insurance as well as others. Some insurance policies include a General Exclusion relating to mental health conditions which serves to exclude all claims arising from such conditions. To include a blanket exclusion within the policy which serves to exclude all claims arising from mental health conditions, an insurer must have statistical data to support their decision to do so. If the insurance company does not have this evidence, reliance upon such an exclusion could amount to discrimination. If you have a history of mental illness, this is a pre-existing medical condition just like physical conditions such as asthma, diabetes, arthritis etc. If you want to be covered for a mental health condition under an insurance policy, you should declare it to your chosen provider. This does not mean the insurance company must offer you cover for the condition, however they must consider each case based on a fair assessment of risk. So, do you need to disclose it? Generally speaking, yes but this does vary from insurer to insurer. All insurers will have their own guidelines as to what they consider a pre-existing medical condition to be; conditions they need to be disclosed to them; and those they automatically cover under any given policy – you can find this information in the PDS. If your pre-existing medical condition is covered as standard under a policy, you do not need to disclose it to your insurer, although you can if this will give you peace of mind. There may be certain provisos outlined in the PDS for a pre-existing medical condition to be covered as standard (e.g. Asthma but only if you are under a certain age and not taking more than 2 medications). It is very rare for an insurance company to provide automatic cover for a pre-existing mental health condition. This means you should apply for cover by completing a medical screening. Once you have completed the screening, which is usually a simple series of questions and answers, the insurer will advise if they can cover it and if so, what the additional premium will be (if any). Here is a handy infographic which will help you determine if you have a pre-existing medical condition and if so, what you might need to consider when disclosing it to your insurer. Why should I have to pay extra for this cover? Each application for cover requires that you provide information regarding your pre-existing medical conditions so the insurer can determine your ‘risk factor’. The process may not seem very personal, and in some ways, it isn’t. However, this helps the insurer establish whether they can cover you or not. Each insurer rates each set of answers according to their underwriting guidelines and considers factors such as destination, duration of travel, age etc. If you have your condition under control and do not believe it poses any threat to you or your travels, you might decide not to apply for cover. However, this could mean all of your pre-existing medical conditions will be excluded from the cover, if they are not covered as standard under the policy. You cannot travel due to an anxiety attack. You have previously experienced similar anxiety attacks but have not had one in many months. You did not apply to cover this condition and it is not automatically covered under the policy. As you did not apply for cover for this pre-existing medical condition, you cannot make a claim for any loss you may incur for missed flights, accommodation etc. By not declaring it to your insurer when applying for cover, you have essentially self-insured the potential that you may not be able to travel due to your pre-existing medical condition. The loss is therefore to your cost and cannot be recovered under the policy you arranged. Why did they decline to cover my condition? There are some circumstances in which insurers will decline to cover any pre-existing medical condition, including mental health disorders. This will vary from insurer to insurer, but generally some conditions are considered too risky for travel. An example would be if you are still awaiting investigation, referral, treatment or results or where you are travelling against medical advice. You will find exclusions relating to these circumstances within the PDS. These exclusions disqualify any claim for medical conditions which are undiagnosed and/or still under active treatment. In such cases, an insurer cannot fairly and correctly evaluate a person’s individual risk because they have not yet obtained all the necessary information in relation to their condition. “Awaiting treatment, referral, investigation or results” cover a variety of situations someone may be experiencing in consultation with their health practitioner so, if you are unsure if you fall into any of these categories, contact your insurer and ask them. You don’t want to find out you fall into one of these categories when you need to make a claim! If an insurer does decline to cover your pre-existing medical condition, you can usually still purchase the policy but it is important you understand that it will not respond to any claim which arises from the pre-existing medical condition. It should though still respond to claims which are in no way related to the pre-existing medical condition (eg cancelled flights, lost luggage etc). Finding travel insurance can be a complicated and arduous task when you have a pre-existing medical condition but here at Go Insurance we strive to make this process as simple as possible. Our sales consultants have a thorough knowledge of the cover we offer and can quickly and simply walk you through the process of disclosing your pre-existing medical conditions.